Brace Yourselves, PEPEFREEZE is Coming! It’s raining Rare Pepes and the flood waters are rising. 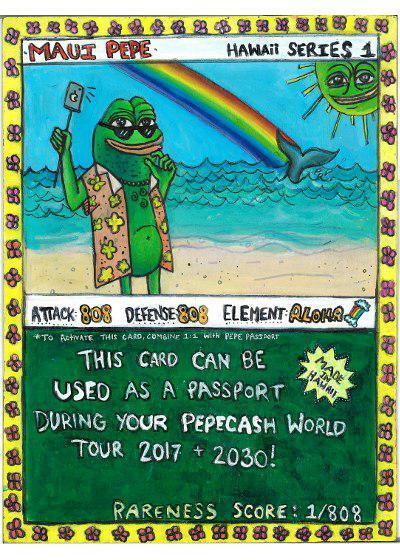 Over 182 rare pepes have been certified to date. PEPECASH continues to climb in value, with market cap increase of over 250% in less than a week. The price is holding at around 5,000 Pepes to the dollar. The latest Rare Pepe auction had record attendance and sales. With over 30 bidders present, a lot of 9 Techno Pepes sold for 75 XCP! And a single Lord Kek fetched a tidy sum of 45 XCP. 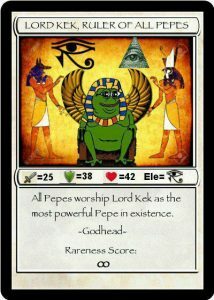 Rare Pepe Foundation scientists have issued a statement warning collectors to beware of fake rares and always check rarepepedirectory.com for authenticity. Keep safe with guaranteed certified rares at rarepepewallet.com. You can Dank on it. Thank you for watching. This has been the Rare Pepe Market Minute. What the heck even is this? I'm a Rare Pepe collector, buying and HODLING! I'm a PEPECASH Millionaire baby yeah! Send me my 1,000 RAREPEPENEWS already! 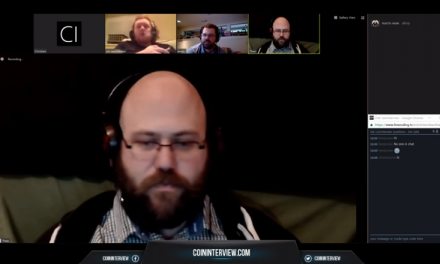 Anonymous on Will Pepe creator Matt Furie step up to claim card 1000?